Fluid Mechanics. We are Exporters & Manufactures of Educational Equipments & Scientific Lab Instruments India Fluid Mechanics, Fluid Mechanics Educational Equipments, Fluid Mechanics Lab Instruments, Fluid Mechanics Supplies India, Fluid Mechanics Manufacturers. Engineering Lab Equipments Manufacturers Exporters. We are engaged in offering our clients Orifice Mouthpiece Apparatus. 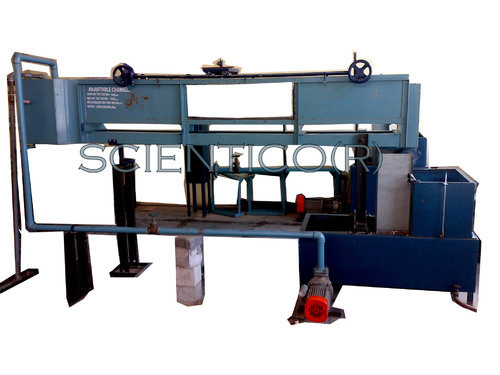 This apparatus is manufactured as per the set industry norms using quality approved raw materials and modern technology. 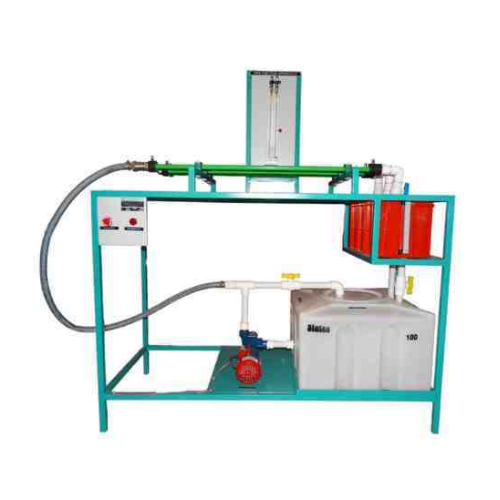 In line with international quality standards, we are providing these apparatus in various specifications as per the precise needs of our esteemed clients. In order to ensure the quality of offered apparatus, our quality controllers perform a series of test on various parameters. We are offering a wide range of Venturimeter Orificemeter & Rotameter Apparatus which are used for experiment also has a number of straight tube manometers at equally spaced intervals. Control Panel: On / Off Switch, Mains Indicator etc. A pontoon is allowed to float in a small tank having a transparent side. Removable steel strips placed in the model for the purpose of changing the weight of the model. Displacement of weight is measured with the help of a scale. By means of a pendulum (consisting of a weight suspended to a long pointer) the angle of till can be measured on a graduated arc. ¨ Determination of the mat centric height and position of the met centric with angle of heel of ship model. 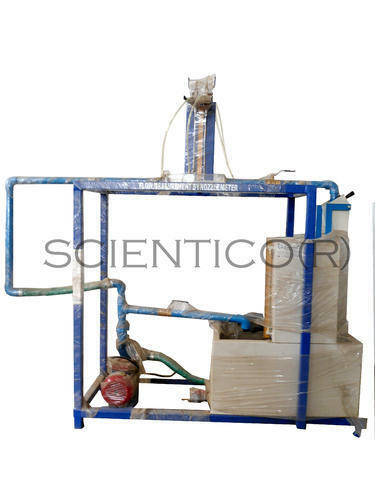 We are leading suppliers of Fluid Mechanics Lab Equipment. The apparatus consists of a Nozzle Meter Apparatus. The flow can be regulated by the valve provided at the down stream. 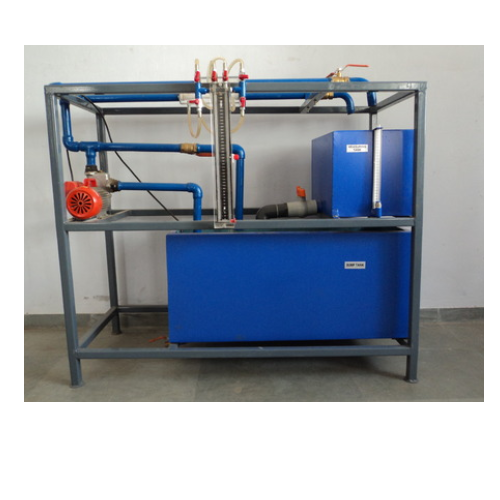 Present set-up is self-contained water re-circulating unit, provided with a sump tank and a centrifugal pump. Flow control valve and by-pass valve are fitted in the water line to conduct the experiment on different flow rates. A flow rate of water is measured with the help of measuring tank and stopwatch. To measure discharge through Nozzle meter and to calibrate it. ¨ Nozzle meter: Nozzle of Stainless Steel, Housing of Clear Acrylic. ¨ Water Circulation: EHP Pump, Crompton/Standard make. ¨ The whole set-up is well designed and arranged in a good quality painted structure. 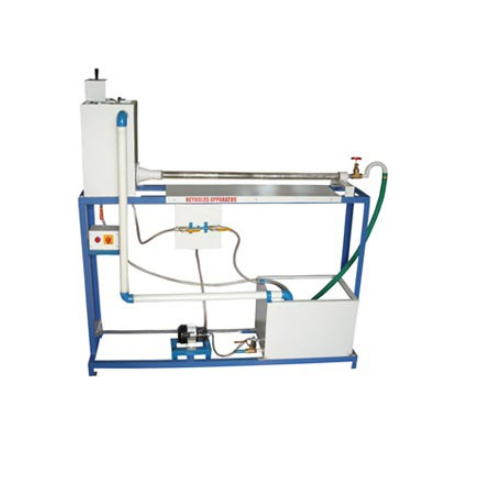 With the extensive knowledge and experience in this respective domain, we are engaged in manufacturing, exporting and supplying high quality Impact of Jet On Vanes Apparatus. 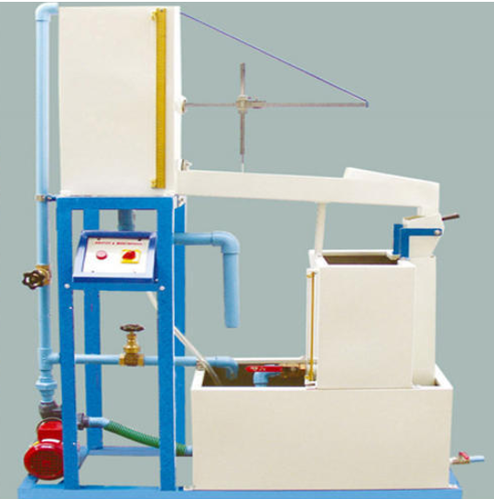 We only use high-grade raw materials and latest technology while manufacturing this apparatus. The offered range is widely appreciated all over the nation for its salient attributes. With our quality range, we are able to maintain a strong foothold in markets of this industry. 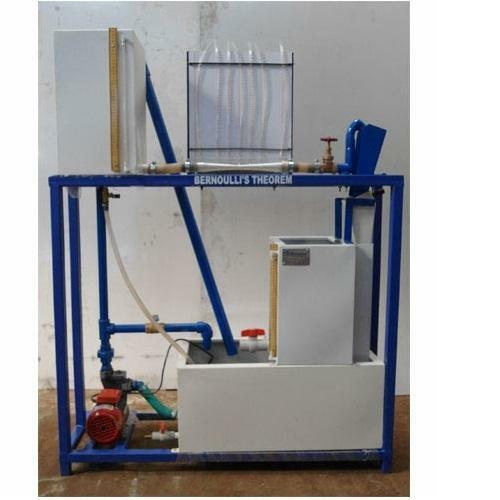 The present set-up is a self-contained, water re-circulating unit provided with a top tray and a sump tank. 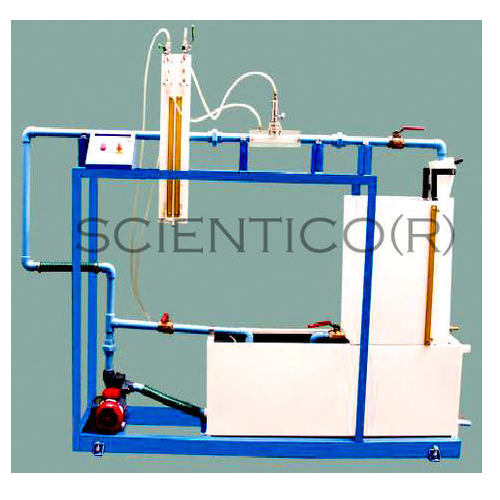 Various hydraulics experiments can be conducted on this setup. An FHP Centrifugal pump is fitted for water circulation. Flow control valve and by-pass valve are fitted in the water line to conduct the experiment on different flow rates. The flow rate of water is measured with the help of measuring tank and stopwatch. Water is measured with the help tray from experimental set-up, drains and return to the sump tank. ¨ Water Circulation: 1 HP Pump, Crompton/ Kirloskar make. ¨ Tanks and Top Tray will be made of Stainless Steel. To meet the diversified requirements of our prestigious clients, we are engaged in offering Bernoulli's Theorem Apparatus. 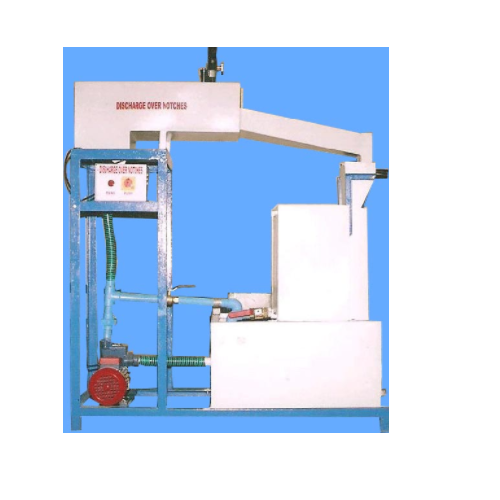 Provided apparatus is available in a wide variety of specifications as per the exact requirements of clients. Manufactured as per international standards using the best quality raw materials and sophisticated technology under the guidance of our expert team, it is highly demanded. In addition to this, clients can avail offered apparatus from us in customized options at market leading prices. 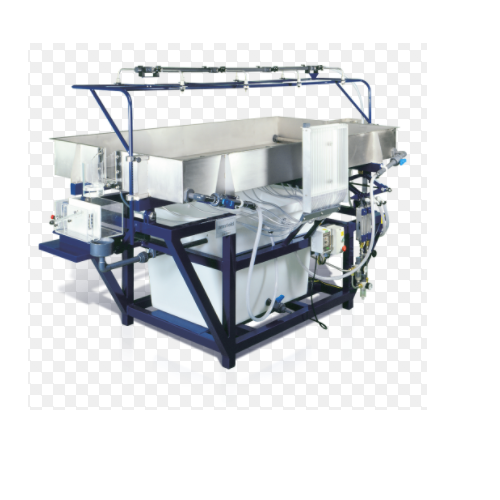 We have gained recognition as an eminent enterprise, devotedly engaged in offering a broad range of Reynold's Apparatus. Backed by a team of experts, offered apparatus is manufactured using optimum quality raw materials and advanced technology. Our offered range is precisely designed, in order to meet the international standards. 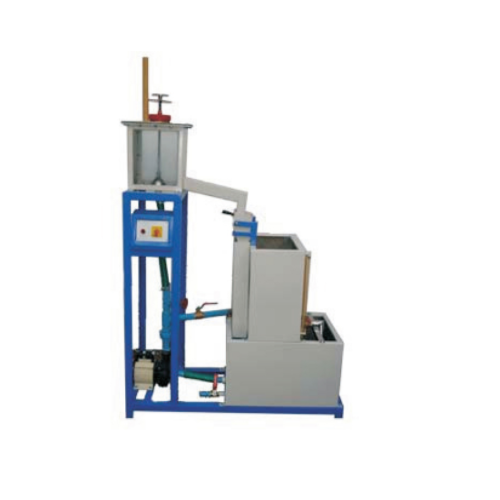 Furthermore, this apparatus is availed in various specifications, as per the varied needs of our valuable clients. Our range is stringently tested on various parameters to assure it on counts of quality. 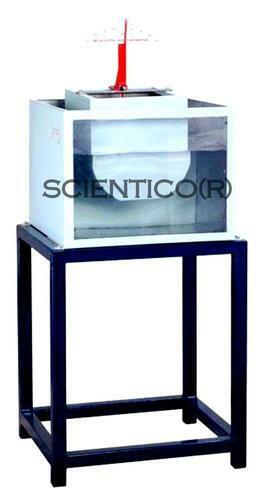 Features:* Self contained water circulation unit. * Pump giving adequate flow for meaningful experiments. * Service Required:Electrical supply - Single Phase, 2.0 H.P. Cap* Comprehensive Instruction Manual covers experiment presented in the form of a fulllaboratory report. * The inside surface of the tank is provided with FRP to minimize the problem ofcorrosion.Description:Apparatus consists of a close circuit through which water is circulated continuously bymeans of a centrifugal pump of 50mm x 50mm with 2.0 H.P. motor to make the supplyfrom sump tank.sump tank of suitable capacity fabricated on M.S. angle frame with M.S. sheet isprovided. Inside of the tank is lined with FRP. 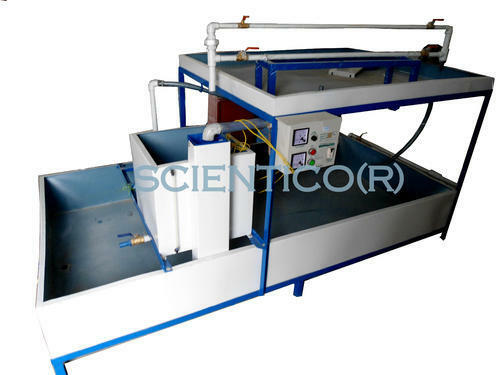 A drain valve of 15mm size is provided inthe bottom of the tank.The set up consists of a tilting flume 25cm wide, 30cm deep and with a stabilizing tank.The total length of flume is about 4.0m. For visual observation of flow pattern along theflume section, both sides of flume are provided with transparent perspex sheet about 1.0m long. The upstream and downstream sections are provided with adjustable gates withrack and pinion arrangement. In a portion of flume one can fix model of broad crestedweir made of M.S. sheet.The channel is provided with pipe railing in full length between the gates) for themovement of pointer gauge trolley. A pointer gauge 50cm long is provided to measurethe head of water over the model. The trolley is supported on four wheels for easyrunning on the railing. The channel is having screw jack operated to give slope of 2% inupstream and downstream sides.Discharge of water can be collected by the help of a calibrated Orificemeter which isconnected with two pressure gauges.Necessary G.I. piping system & flexible pipe of suitable size, necessary fitting andcontrol valve are provided with the apparatus.